Are You Agree On This? No one wants to have to spend hours setting up their campsite, especially if they just finished a long hike to get there. This where the pop up tent comes in really handy. 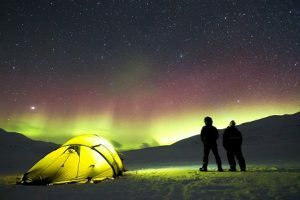 While many of the pop-up tents on the market are all pretty much the same, it is really helpful to know that they are not all created equal. 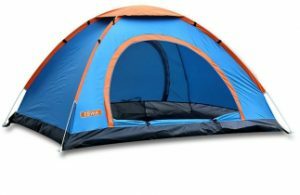 This is why it is very important to know what often separates pop up tents for camping from the many other types of tents there are in the stores and online. Look no further if you’re looking for the best pop up tents. Here we have assembled the Top Eight pop up tent reviews for you to look over and help you decided on which is the best pop up tent for you. 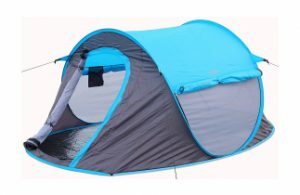 You will be able to decide from reading these small reviews which are the best pop up tent for camping that fits your situation. Anyone of these pop up tents would make a great choice for someone looking for a new camping tent. 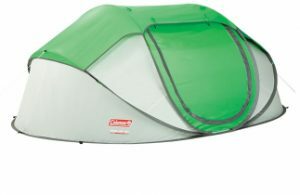 The Coleman Pop-Up Tent comes in two models, a two person model and a four person model. Both models are made with fire and water resistant polyester fly, in layman’s terms, it means it shouldn’t catch fire easily or leak when it rains. 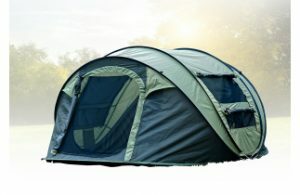 It also has a multi-position rainfly so you can adjust the amount of ventilation in the tent. They have a taped floor to make sure water doesn’t seep in from the ground when it rains, both models claim to be able to be assembled in 10 seconds, which seems about right. It is very fast to put up and take down if you follow the instructions. The two person tent has room for two camping pads and they claim it measures 7 ft. 6 in. x 4 ft. 5 in. The four person tent measures 9 ft. 2 in. x 6 ft. 6 in. All in all, both tents can easily fit your needs for a weekend depending on how many people you need it to fit. Since it can easily fit up to four people it would be perfect for a small family or two couples to share. This pop-up tent from G4Free is good for a weekend trip and fits two or three people, depending on size. It’s comfortable for two people and could be ok for three if the third is a child, it really all depends on the size of the people. They claim two adults that are 6 feet tall each can fit in this tent comfortably or three to five kids depending on the size of the kids. 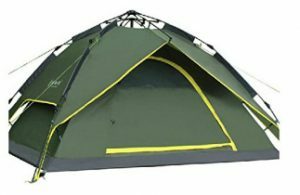 Claims to be able to be set up in one second, although I wouldn’t say one second, it is very fast to pitch this pop-up tent, but it is one of the easiest to set up. As with most it is water resistant, so there’s no need to worry about rain getting it and none seeps in through the floor either. This tent has two windows, two doors, and a top opening to give you the most ventilation if it’s really hot out. The tent measures 94.49 x 39.37 x 70.87 inches so it’s a pretty decent size and like I said it does fit two adults very comfortably. They call the mesh on the windows and doors “no-see-um mesh”, meaning that even the tiniest bugs or “no-see-ums” can get in. The price of this tent and what you get makes it a tremendous value. You really cannot go wrong when selecting this tent for your next camping trip. This pop-up dome tent bye FiveJoy is made to fit four people. Of course how many people it fits comfortably all depends on the size of the people you want to fit in the tent. The floor space on this tent is 80.7″ X 78.7″ unless all the people involved are very tall, it should fit four people. The tent is waterproof up to a degree and will keep you dry with no problems if rain showers come through, it is not rated to handle heavy downpours. 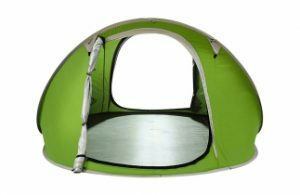 This tent has two large doors and multiple windows (both sides) so you can let the air in and keep the bugs out. There are also storage pockets inside the tent to help you keep things organized within the tent. The floor also keeps the water out if it rains, but the floor is also the one thing people have complained about as it is not a thicker padded floor. This is a good pop-up tent for a weekend away as long as there aren’t heavy storms predicted, great for summer weekend getaways. Fast, easy set up in just a few minutes! This would make a really good tent for anyone. 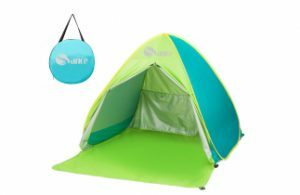 The pop up tent is great for the beach or even the backyard for the kids to have a little campout. This pop-up tent measures 65 x 59 x 43.5 inches and will fit two adults or three kids comfortably. This tent can offer you UV protection on the beach and the mesh window will give you plenty of ventilation. 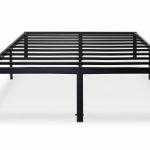 It comes with six metal stakes, so even if it’s windy out you won’t have to worry about the tent being blown over. Not only is this good for the beach, but can be used to allow the kids to camp out in the backyard for the night without you having to worry. They claim it can also be used as an indoor play tent for babies, without the stakes of course. It is easy to pop up and easy to fold down when done, nothing time consuming so you can move on with other things you need to do. It also comes with a handy carrying bag. The carry bag is a great feature of this tent which makes it easy to carry. This two people pop up tent is a great buy for the price. Measuring in at 87 x 60 x 43, this tent can fit two adults comfortably, perfect for couples going out on a backpacking trip. This tent is easy to just pop up in seconds and almost just as easy to fold down and pack away as long as you follow the instructions. It’s so easy to set up that even kids can do it easily. As long as it isn’t a heavy downpour, this tent will keep you dry in the event of any rain. The large door has a mosquito net allows you to have the door open and keep the bugs out. There are also three ventilation holes to be able to keep the airflow going through the tent so you don’t get too hot. 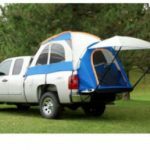 Not only is this great for couples on a quick weekend trip, it can be used by the kids in the backyard so they can camp out too or even for yourself on a road trip providing you have a place to camp out. This pop up tent by TSWA is perfect for the family weekend camping trip or even a kids backyard campout. This tent is simple to get set up and just as simple to take down, even kids can do it themselves for the backyard campout. This tent measures 78.74 x 78.74 x 51.18 inches, which is enough room for two adults and two kids or three average sized adults according to TSWA and they should be able to sleep in there comfortably. This tent has UV protection and is waterproof, so unless it is a horrible storm, weather shouldn’t be an issue with this tent when camping out. It also has two large doors with netting, so you can keep the tent well ventilated if it’s warm out. There’s even an interior pocket for you to keep things organized and safe from being stepped on. All in all, this is a great little tent for those weekend camping trips or for the kids wanting to camp out in the backyard and all at a decent price. Having an easy to setup good size tent is the perfect combination for anyone. This pop-up tent seems to have been made with backpackers in mind, but also could be used for a weekend camping trip for a couple or backyard camp out for the kids. The tent measures 6.6 X 6.6 X 3.94 ft and should fit two average sized adults nicely. It has a large door and window with a mesh screen to keep the bugs out and allow for ventilation. It has UV protection and is water resistant, which means it can’t be used in prolonged heavy rain and still keep the water out. It comes with ground stakes and wind strings so you don’t have to worry about the tent being blown over if it gets windy out while you’re camping. Very easy to set up the tent, not quite as easy to fold it down, but it’s not too hard. Just follow the instructions and it will become easier to take it down. Once folded down you can pack it away in the carrying bag that comes with it. If the kids want to camp out in the backyard and it’s not windy, you can easily set it up without the stakes. Its compact size makes it perfect for a weekend hike for two. This tent is made for easy setup and takes down. It uses a hydraulic pressure mechanism to set it up and take it down, making it easy for even kids to do it. This tent can be used in all types of weather. It’s waterproof and double layered, so it holds up well even in heavy rain and still keeps everyone and everything in it dry. It also holds up well against heavy wind, which is rare in the pop up tent category. Others may hold up against some wind, but this one is rated to hold up in heavy winds. The tent measures 82.67 x 90.86 x 47.24 inches, roomy enough to fit two adults comfortably and maybe even three adults, depending on their size. Would be good for two adults and one child also. 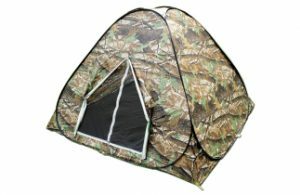 Large door and mesh windows, with rain fly, so you keep the air flowing through the tent and keep you from being too hot. The rain fly can actually be removed to be set up as a sort of shelter from the sun and rain when you are fishing. Its larger capacity and that it can easily fit up to three people would make it great for two or three people.